Thanks to Kristin Olson, University of California, Los Angeles (USA), for contributing this case. To contribute a Case of the Week, follow the guidelines on our Case of the Week page. 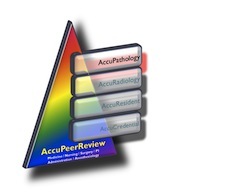 � �� QA for PAs, Histotechs, Transcriptionists, etc. (1) Congratulations to Dr. Pelin Bagci, Emory University (Atlanta, Georgia) and Dr. Teresita Zdunek, St. Joseph Hospital (Chicago, Illinois) for winning our Promotions contest. Each received a $25 Amazon.com gift card. We select at least one name from our Promotions email list as a winner after each Promotions email. These emails are sent every 2-4 months. To sign up, click here. (2) For a "printer friendly page" of any part of our website, we recommend visiting http://www.printfriendly.com, which has options to print with or without images. As this works better than our "printer friendly" versions of chapters, we are removing the printer friendly versions as we update each chapter. An 8 year old girl presented to her primary care physician with precocious puberty. On physical examination, she had a large pelvic mass. The well circumscribed mass was resected. It weighed 413 grams and measured 13.5 x 9 x 6 cm. 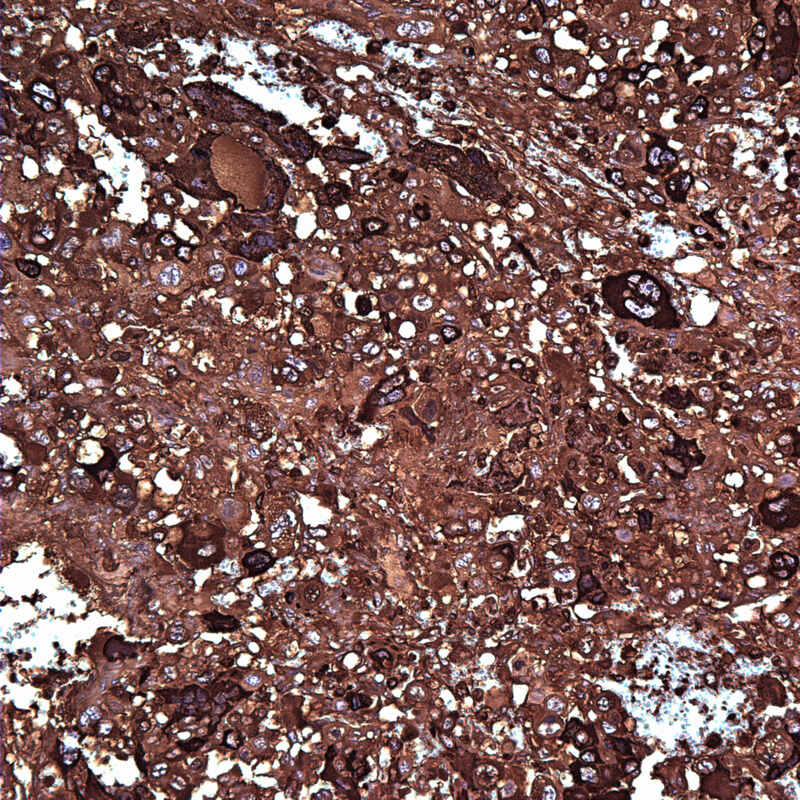 Sectioning demonstrated a variegated yellow-tan to red-brown cystic and hemorrhagic mass. 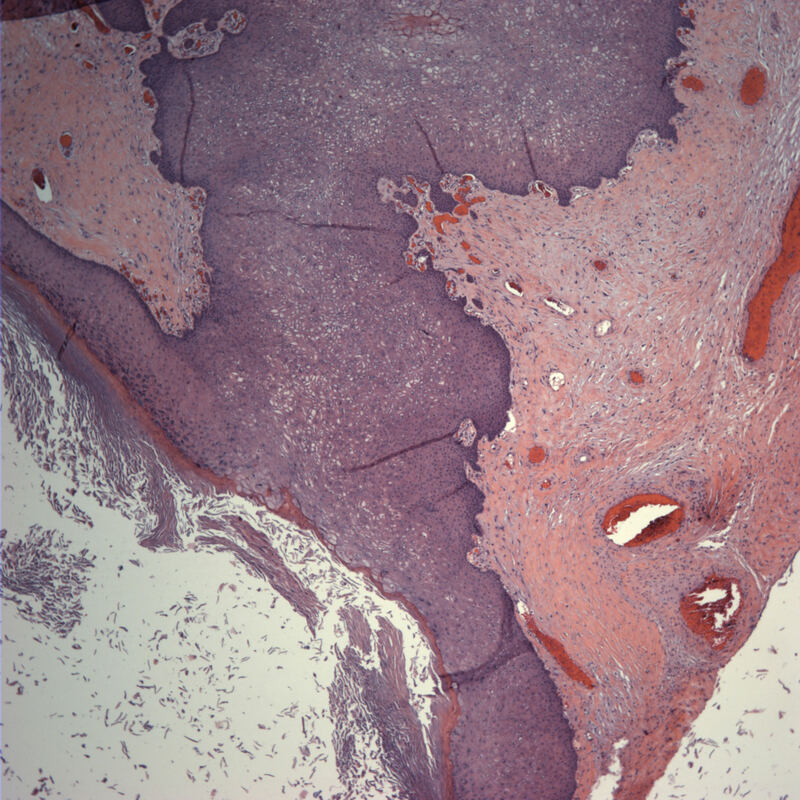 One 2.5 cm cyst contained sebaceous material, and scattered calcifications were identified. Microscopic examination showed the mass to be a mixed malignant germ cell tumor consisting of choriocarcinoma (70%) and mature teratoma (30%). 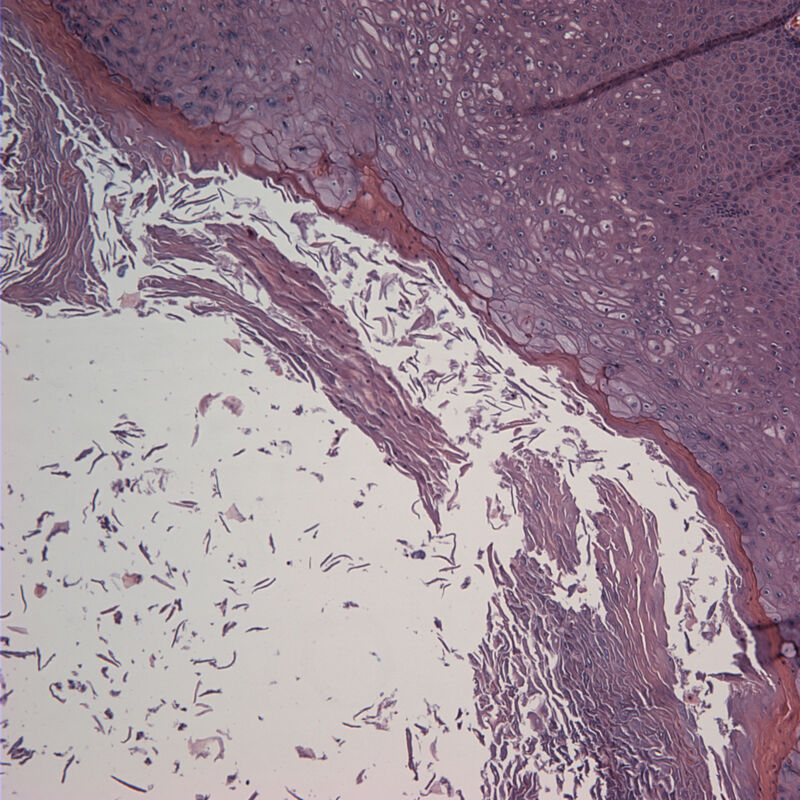 Angiolymphatic invasion is present, as shown on the CD34 stain. 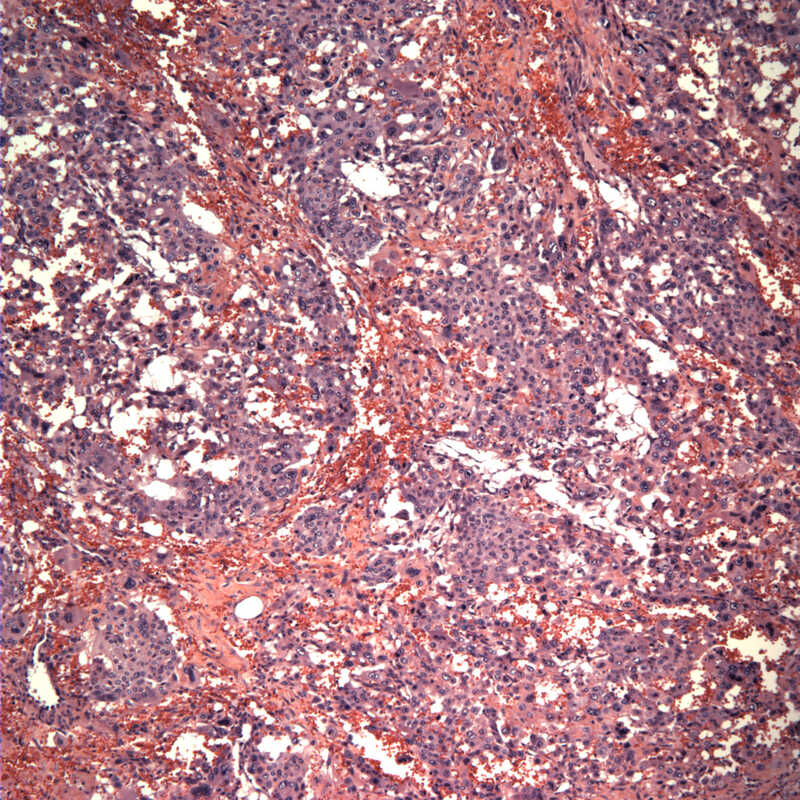 The choriocarcinoma component is highlighted with the beta-hCG stain, and is associated with extensive hemorrhagic necrosis. AFP is negative. Ovarian choriocarcinoma is classified as gestational or nongestational. 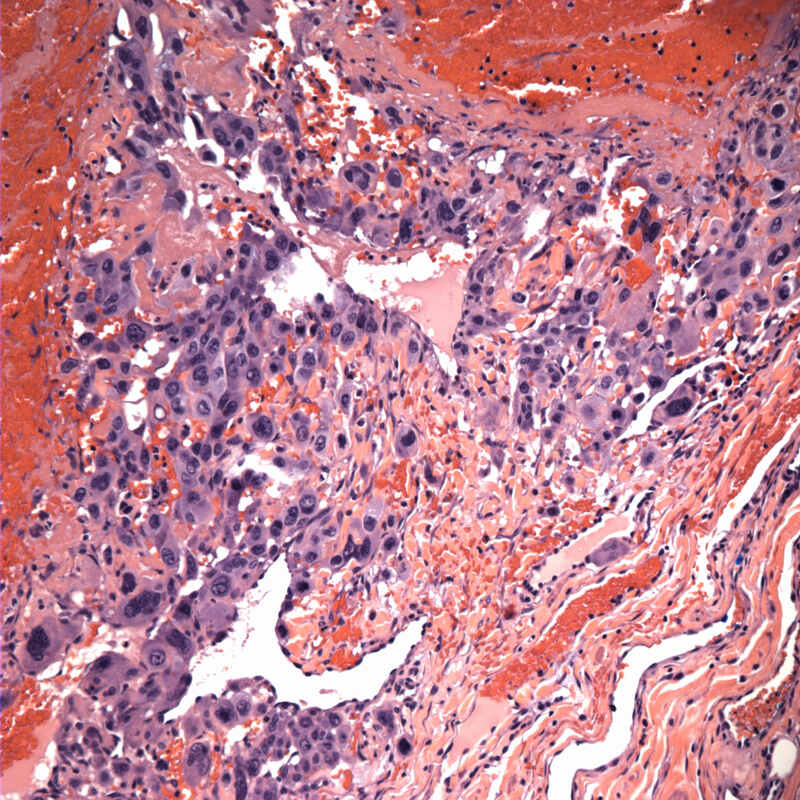 Tumors are definitively classified as nongestational only in a pre-pubertal patient (as in this case), in a woman unable to conceive, or based on DNA analysis to determine if paternal DNA is present in the genome of the tumor. 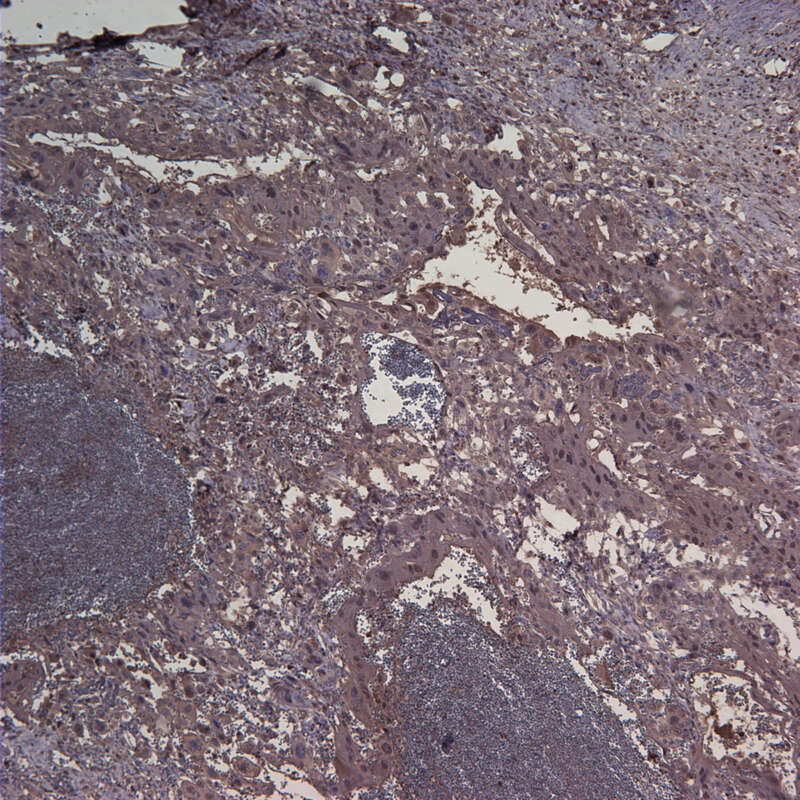 Histologically, the tumor consists of a mixture of syncytiotrophoblastic and cytotrophoblastic elements in a hemorrhagic and necrotic background. 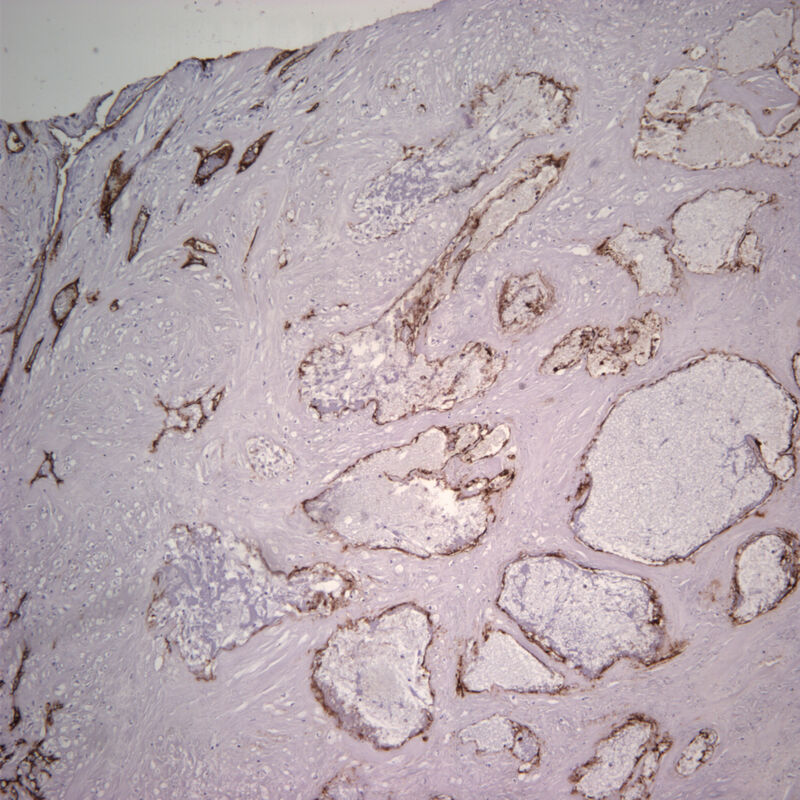 Tumor cells are strongly immunoreactive for beta-hCG, and negative for AFP. 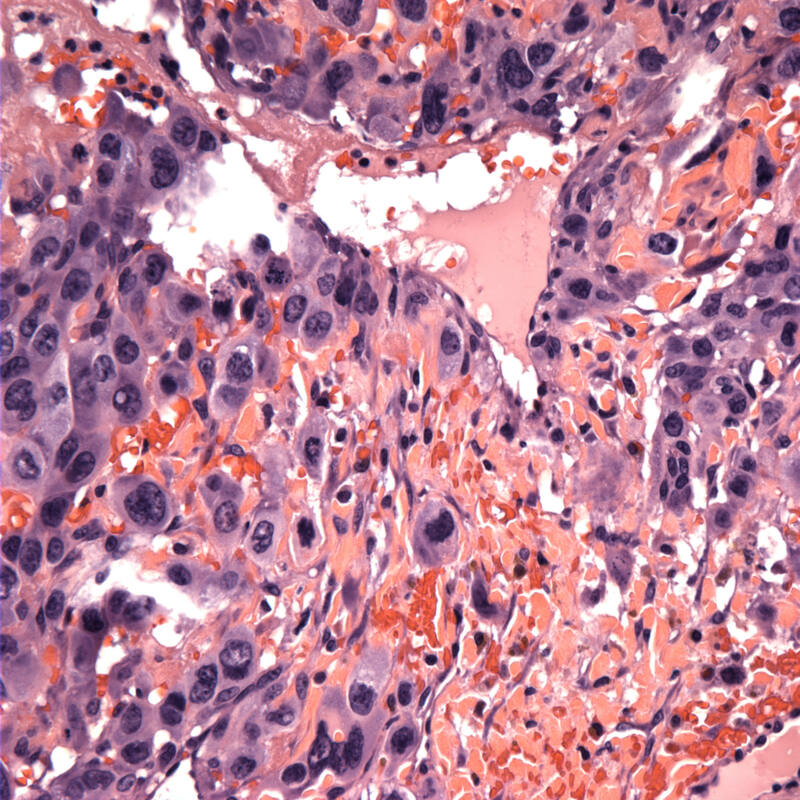 However, these tumors are often part of a mixed germ cell tumor, which may contain components that are immunoreactive for AFP. Nongestational choriocarcinoma is very rare. 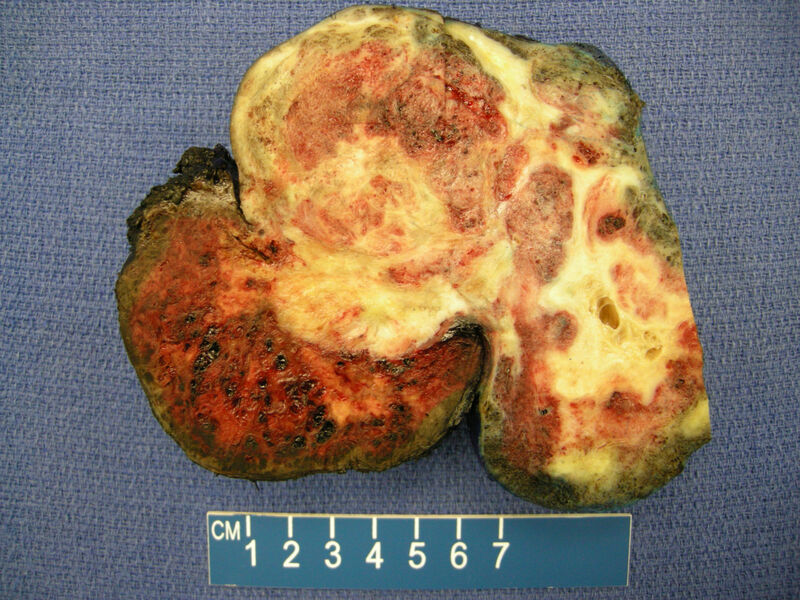 Historically, these tumors were usually fatal and unresponsive to chemotherapy. However, their prognosis has improved (Int J Gynecol Cancer 2010;20:299, Gynecol Oncol 2001;80:262) and it is currently unclear if their prognosis differs from the good prognosis of gestational choriocarcinoma. 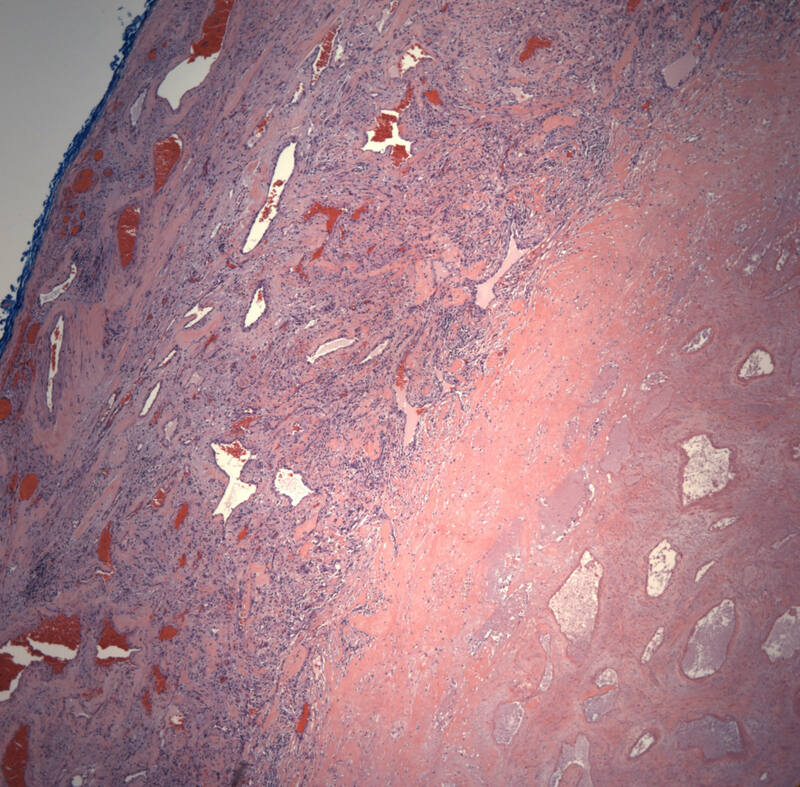 Both types of choriocarcinoma have high levels of serum hCG, and monitoring serum levels may be helpful in predicting recurrence. In this case, at diagnosis, the beta hCG was 140,000. Radiologic evaluation for metastases was negative, and the patient underwent three cycles of chemotherapy. One year after completing the therapeutic regimen, there was no evidence of recurrent or metastatic disease.